Presenter Services is dedicated to enhancing the conference experience for all attendees by offering specialized coaching to presenters. Our goal is to offer guidance on best practices in audience engagement strategies, slide design, and delivery skills necessary to ensure a successful conference session. Did you know that public speaking consistently ranks as one of the top fear-inducing activities people can experience? With OLC’s Presenter Services, you will be able to stand confidently in front of your audience and deliver an engaging presentation. 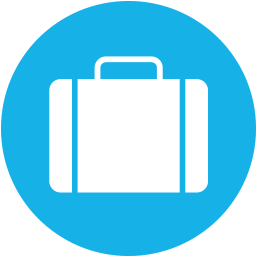 There are a variety of resources available to meet your needs regardless of experience or skills level. Choose the option that works best for you: Presenter Guides, Webinars, or Coaching. 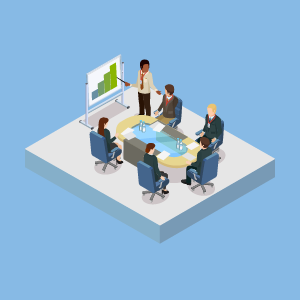 Downloadable Guides offer important tips for delivering a polished and professional session. Webinars allow you to participate in a 30-minute ‘master’ course, as you learn from expert presenters. And lastly, you can receive coaching that is customized to address your individual needs as a presenter. You can participate in one of three coaching options: 1 to 1 pre-conference, Cohort-based, or Onsite coaching. 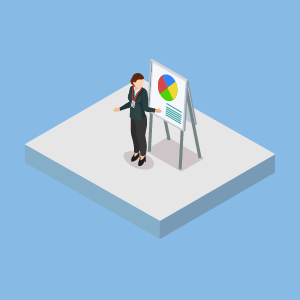 Regardless if you choose to engage in one or all three of these options, you will have the opportunity to learn helpful tips to enhance your presentation skills. Being able to speak confidently in front of an audience will not only enhance your conference experience, it can help you grow your career. More information about each resource is provided below. We look forward to working with you! Have questions about Presenter Services? As you prepare to give your presentation at OLC Innovate, you may consider using these resources. The slide template provides you with a user friendly and accessible slide format that can be used as a template for your presentation. We encourage all of our presenters to use this as a starting point if you like. Presenters are always also welcome to use your own style of Powerpoint, Keynote, Google Slides or alternate slide design or presentation option desired, as well. Regardless of which format you choose for your slides, please include the evaluation slide (BELOW) at the end of your slide deck. OLC uses evaluations from session presentations to determine many variables in our conferences, including special invitations to selected speakers. Attendees of your session who fill out the survey are also eligible for a prize, which will be discussed in keynote/opening sessions with attendees. Use the links below to access/download these resources. We encourage you to develop your own “personal brand” by using your own/your institution’s slide template, but in the event you would like to use a conference-provided template, you are welcome to use the OLC Innovate 2019 conference template below. Please do use the Session Evaluation Reminder Slide at the start and end of your presentation to remind attendees to submit feedback on your presentation. If you’re looking for a quick reference on ways to enhance your OLC Innovate session, consider taking a look at our Presenter Guides and Essentials Videos. These online resources serve as a quick refresher on the best ‘advice’ or ‘tips’ our coaches have to offer. These virtual sessions provide you with detailed guidance on strategies and techniques that can help you craft a successful presentation. By attending the live offering of the webinars, you will have the opportunity to ask questions of the presenters and share any insights or lessons learned from your own experiences. Overview: Educate and Reflect sessions are traditional 30-minute presentation in which you share information related to one of the conference proposal tracks, followed by 5 minutes for quiet individual reflection, and then ending with a 10-minute Q&A and group discussion. In this 1-hour webinar, we will spend the first half overviewing techniques to design/deliver effective and stimulating presentations with an awareness of the value of personal reflection; the second half will focus on special considerations for delivering streamed presentations and engaging the remote conference audience. John Stewart is the Assistant Director of Digital Learning for the OU Center for Teaching Excellence. John is interested in developing learning environments to promote digital literacy and opportunities for undergraduate research. Before joining the center, John lectured on history of science at the University of Oklahoma and Missouri University of Science and Technology. He earned his Ph.D. in the History of Science from the University of Oklahoma. Kate Sonka is the Assistant Director of Academic Technology at the College of Arts & Letters at Michigan State University. She is interested in second language acquisition, the role of language in identity development, and the intersection of accessibility and experiential learning. Her instructional experience includes a first-year writing course for non-native English speakers; a study abroad on language acquisition and global English in China; a study away to Los Angeles for students to explore and meet leaders in the film and creative industries; and a study away to Silicon Valley for students to engage and build relationships with tech companies around accessibility. Stemming from her interest in how accessibility exists in professional and academic spaces, Kate is an active member of Teach Access, has consulted with the U.S. Department of Labor on accessible hiring practices, and is the founder and director of the Accessible Learning Conference at Michigan State University. Overview: Emerging Ideas sessions are brief mini-presentations centered around an electronic platform (i.e., your laptop) with the goal of promoting your ideas and eliciting suggestions and discussion from attendees. These fast-paced, digital presentation sessions are one of the most energizing presentation options for exploring your topic. In this 30-minute webinar, we will discuss proven strategies for maximizing engagement and the impact of your Emerging Ideas presentation. Dr. Sherri Restauri joined the Coastal Office of Online Learning as Director in 2016; this fall she is starting her 18th year serving in online learning. Her research focus is on improving the teaching and learning process across all teaching modalities through the use of technology, with specific interest in pedagogical practices to increase student engagement, and best practices in online pedagogy. Sherri is heavily involved in digital accessibility, OERs, and integrating quality standards into the T/L process for faculty across all modalities of teaching. She also serves as a teaching associate in the Department of Psychology at CCU, specializing in Developmental Psychology. She has served in the planning and steering committees with OLC Innovate and Accelerate for a number of years, serving in the 2018 year as Program Co-Chair for Accelerate and Workshops Track Chair for Innovate 2019. She is the Editor of the Professional Coaching board for MERLOT, as well as a long-time board member in the Psychology Editorial Board for MERLOT. Overview: Conversations, Not Presentations provide an interactive opportunity to share information and explore topics from a variety of perspectives. Maximizing the value and impact of a dynamic conversation requires careful planning and strategic facilitation. 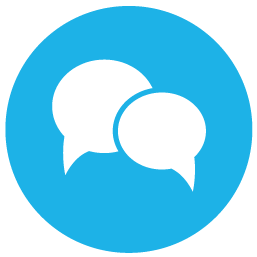 In this 30-minute webinar, we will provide tips for designing and facilitating informative and engaging conversations that leave attendees with meaningful insights and/or solutions to shared challenges. Angela Gunder serves as Director of Instructional Design and Curriculum Development for the Office of Digital Learning at The University of Arizona. Angela came into instructional design rather circuitously, helming large-scale site designs as webmaster for The City College of New York, the honors college at ASU, and Northern Virginia Community College (NOVA). Her over fifteen year career as a designer for higher education informs her instructional design practice, where she leverages her expertise in usability, visual communication, programming, and standards-based online learning. Angela holds a B.S. in Computer Science and Fine Art from Fordham University, and a M.Ed. in Education Technology from Arizona State University. Prior to her position at UA, she was a member of NOVA’s instructional design team, supporting over 23,000 students in 550 unique courses. 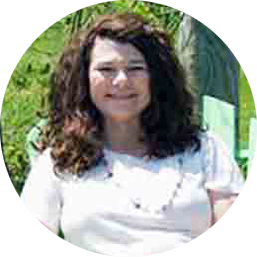 Angela is an Associate Editor for the Teacher Education Board of MERLOT, and a Quality Matters certified peer reviewer and online facilitator. Her research interests include technology for second language acquisition, open educational resources, and emerging technology to promote digital literacy. A voracious culinary nerd, Angela spends her free time composing, cooking and photographing original recipes for her food blog. 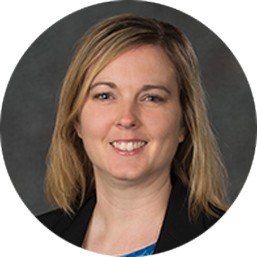 Dr. Jessica Knott is the Learning Design Manager for MSU Information Technology and the MSU Hub for Innovation in Learning and Technology. She has worked in information technology since 1998, spanning the public and academic sectors. She has been active in collaborating with colleagues nationwide in planning conferences for the Online Learning Consortium, and she is an editor for the Hybrid Pedagogy Journal (http://www.hybridpedagogy.com). She is also on the faculty for the Online Learning Consortium Institute. Find her on Twitter @jlknott. Overview: Delivering an engaged, interactive, and effective workshop is often viewed as an intimidating venture undertaken by only the bravest souls. In reality workshop design, development and delivery can offer an exhilarating opportunity to partner with other skilled experts as well as to learn from a room full of experienced and eager participants. The resulting program is the outcome of careful and thoughtful planning as well as skilled facilitation during delivery. In this 30-minute webinar, we’ll explore strategies that can be used to create a stimulating, engaging workshop. Lawrence C. Ragan, Ph.D. recently retired from Penn State University after serving in a variety of leadership positions over his 34 year career in higher education. Dr. Ragan was a part of the creation and management of Penn State’s World Campus since its inception in 1998. From 1995 through 2012 Dr. Ragan served as Director for Instructional Design and Director of Academic Outreach Faculty Development. From 2012 to 2016 Dr. Ragan served as the Co-Director for the Center for Online Innovation in Learning (COIL) at Penn State. From 2009 to 2017, Dr. Ragan served as the Co-Director of the Institute for Emerging Leadership in Online Learning (IELOL). In partnership with the leadership at the Online Learning Consortium (OLC), IELOL addresses the operational and strategic leadership on the design and development and preparation of the next-generation of leadership in online learning. Dr. Ragan has also served in as co-director and faculty of the EDUCAUSE Learning Technology Leadership Institute (2005-2007). He is also active in the design and delivery of national and international leadership development workshops and institutes. Most recently Dr. Ragan served as facilitator for the Maryland Online Leadership Institute 2018 in Annapolis, Maryland. Overview: Career Forum Roundtables provide an opportunity to explore a specific career issue, challenge or opportunity. 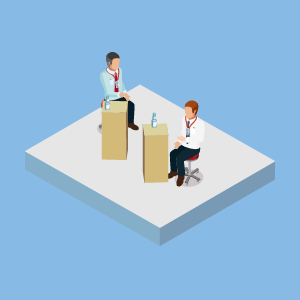 Ideally, your career forum will be conversational yet informative; the goal is to engage the audience in meaningful dialogue to foster shared insights. In this 30-minute webinar, we will provide tips and strategies for designing and facilitating informative and engaging career forum discussions. Catherine Honig, Ph.D. is an Associate Professor and Chair, MBA Program in National Louis University’s College of Professional Studies and Advancement (CPSA). 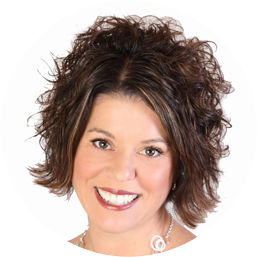 She earned her doctorate in industrial/organizational psychology from Bowling Green State University and has over 25 years of higher education teaching experience. She currently designs and teaches online courses in leadership and I/O psychology, and her research interests place emphasis on high-touch online instruction, student perceptions of online and blended learning, and the impact of EdTech tools on student learning and engagement in online courses. Catherine also serves as the Editor of MERLOT’s Psychology Editorial Board. Overview: Innovation Studio sessions are designed to “show-and-tell” a specific pedagogical strategy, technology tool, research method, design-thinking, industry innovation, or leadership approach. This type of presentation allows for the presentation and demonstration of new material along with an opportunity for guided, hands-on practice. In this 30-minute webinar, we’ll explore best practices for designing and facilitating an engaging, educational Innovation Studio presentation. Learn tips and techniques for maximizing the value and impact of this hands-on learning experience. Rick Holbeck has been in education for over20 years at all levels from kindergarten to higher education. He is currently the executive director of online full time faculty at Grand Canyon University, and also teaches courses for the College of Education. Rick has presented at several regional, national, and international conferences where the focus has been on Classroom Assessment Techniques, technology, faculty workloads, and hybrid peer review for journal publication. Rick is currently the editor of the Journal of Instructional Research. Rick is currently a doctoral learner in Higher Educational Leadership at Grand Canyon University. Can’t make the live webinars? Not to worry, view the recordings. One of the best ways to improve upon a skill is to work with a coach who can offer feedback and guidance that is tailored specifically to your needs. OLC now offers this as a free service to all conference presenters. However, there are a limited number of coaching sessions being offered this year. Signing up early is highly recommended. Deliver your entire presentation virtually to your coach and receive personalized feedback. Talk with fellow presenters to explore strategies for engaging your audience, enhancing your slides, and more. Have a coach attend your live presentation at the conference and receive custom feedback. 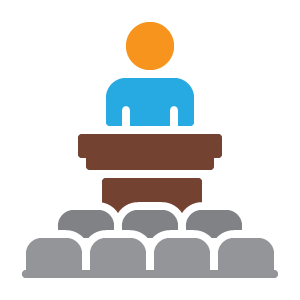 Ready to take your presentation skills to the next level? Coaching sessions will take place in March 2019. Working with a coach can be the difference between a good presentation and a great one. All of our coaches have a proven history of giving presentations that consistently earn high ratings for all of the main components of successful sessions – engagement, slide design, and delivery. Becky Adams was the Director of Online Faculty Support and Online Course Development for UNM Extended Learning for the past 13 years. She holds a PhD in Education specializing in Instructional Technologies, and a minor in Educational Administration. She holds a Technical Coordinator Certification with the State Department of Education. She has taught online for over twelve years for two universities. Her combination of educational and technical background, as well as experience as an online student, course designer and online instructor, assists her in managing the increasing demand of online courses. As the Director, she works with her staff to facilitate the design and delivery of UNM Online Courses for Main Campus, ensuring quality day-to-day support for online faculty and students, as well as training services for faculty and students utilizing the UNM Learning Management System and academic applications. Becky served on the New Mexico Learning Network’s Statewide initiative for online learning, chairing the sub-committee for Best Practices. She is a Quality Matters Master Reviewer, her OI&LS online course is Quality Matters Certified and she received a 2012 Director’s Choice Blackboard Catalyst Exemplary Course Award. 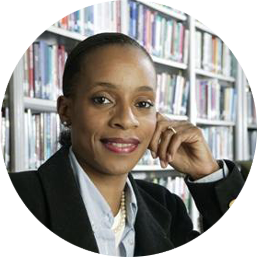 Kimberly Eke, Ph.D. is the Associate University Librarian for Teaching, Research, and Learning Services at the University of Pennsylvania Libraries. She serves as a member of the library senior administrative team responsible for planning, piloting, assessing, and scaling new scholarly and instructional programs; engaging the community to understand changing needs for library spaces, collections, and services; and propelling cutting edge technology initiatives forward that directly and positively impact the teaching and learning continuum at Penn. Before working at Penn, Kim provided strategic oversight for campus learning technologies, MOOC production, course design, and custom educational multimedia development at UNC-Chapel Hill. 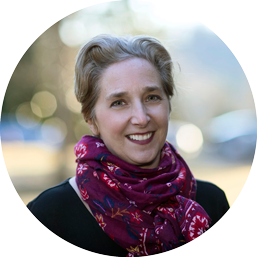 Prior to UNC, Kim served in a variety of roles including instructional designer, faculty developer, instructor, media developer, and project manager/designer of online courses. Do you want to give an effective presentation that will have your audience saying, “I really enjoyed that session, it was great!” If you answered “yes”, then I can help. My name is Dr. Frederica Hendricks Noble and in addition to being a faculty member in Industrial & Organizational Psychology, I am a consultant. I have given presentations at professional international and national conferences for over 20 years. I have helped faculty, graduate students, staff and administrators develop engaging presentations. I would be delighted to help you too! Dr. Kristin Palmer is the Director of Online Learning Programs at the University of Virginia (UVA). In this role, she is responsible for massive open online courses (MOOCs), facilitating pan-university e-learning needs assessment and fulfillment, and conducting research. She represents UVA on the Networked Learning Collaborative of Virginia (NLCVa), is a member of the Accessibility Task Force, Online Education Advisory Committee, Teaching and Learning with Technologies Committee, Bicentennial Committee, and the President’s Strategic Planning Steering Committee (2012-2014). She co-created the annual the Innovation in Pedagogy Summit at UVA. Prior to UVA, Dr. Palmer worked in both education and business on complex technology projects. 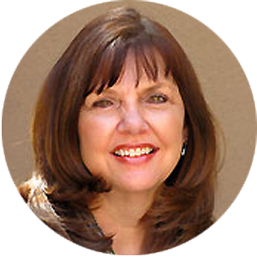 She has worked at Hewlett-Packard (HP), eBay, Disney, Intuit, and the Children’s Health Council. Dr. Palmer has lived in the United States, Canada, the Netherlands, and the Czech Republic. She has backpacked across Europe, sailed down the Nile, taken a train across India, climbed mountains in Nepal, and traveled through the Far East. She met her husband on a rainy evening in the desert and then bicycled with him across Canada. She has three sons, is a yoga instructor, and an avid gardener. She aspires to connect students and faculty to experiences that will lead them on new adventures and make the world a better place. April works in close partnership with her college’s academic units to design, develop, and manage online courses and programs that use the latest research in education and technology to develop cutting-edge online educational resources that are unparalleled in their quality. 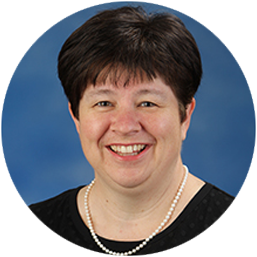 She has over twenty years’ experience partnering with faculty to design, develop, and deliver course materials, information technology training, cocurricular learning modules, and online courses for both undergraduate and graduate students at Penn State. In the past twenty years, April has presented at many different conferences including OLC many times on a wide range of subjects including copyright clearance in higher education, blended training, mandatory online cocurricular learning programs, the instructional design process, rubrics, academic integrity, use of video in instruction and presented workshops on various education technology tools. 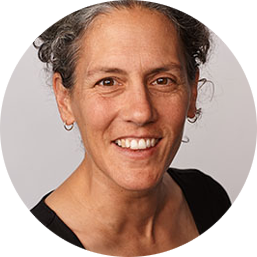 Jane Sutterlin has collaborated with content experts in K-12 and Higher Education since 2005 designing courses that utilize technology as a tool for learning while implementing current learning science research strategies. Jane joined Penn State University in 2012 and is currently a Learning Designer in the Dutton e-Education Institute in the College of Earth and Mineral Sciences. Jane earned a Master’s Degree in Learning, Design and Technology. She has presented at both local and national conferences on incorporating new technologies and pedagogy into a variety of teaching and learning environments. Emily Baxter is a Learning Designer in the John A. Dutton e-Education Institute in the College of Earth and Mineral Sciences at The Pennsylvania State University. In her role, Emily collaborates with faculty to design online courses for a wide range of learners, including Penn State undergraduates and returning adults in the fields of meteorology, materials science, and geography. 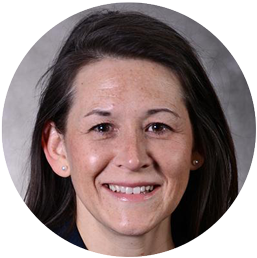 Emily has presented frequently at local and national conferences including the Engagement Scholarship Consortium, Distance Teaching and Learning, and OLC Accelerate. She has experience presenting in a variety of formats, including posters, digital discovery sessions, and education sessions. 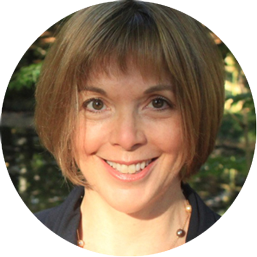 Maria Scalzi Wherley is an Editor and Learning Design Assistant with the John A. Dutton e-Education Institute. She has over a decade of teaching experience, serving a wide variety of learners a diverse range of subjects. She has also worked at the state level to design curriculum for public schools. Maria holds a B.S. in Secondary Education and will graduate with an M. Ed. in Curriculum and Instruction from Penn State in May 2019. Dr. Tawnya Means is Assistant Dean and Director, Teaching and Learning Center (College of Business – University of Nebraska-Lincoln). She provides vision and leadership focused on the needs of students and faculty. Her team develops and implements comprehensive and effective learning support for students and creates faculty development programs and resources to assist faculty with instructional innovation and adoption of pedagogical best practices. Her expertise is in online and blended learning, active learning, technology innovation, and preparation to teach. She has long been a leader in campus initiatives and committees and actively presents at conferences and other institutions and organizations.